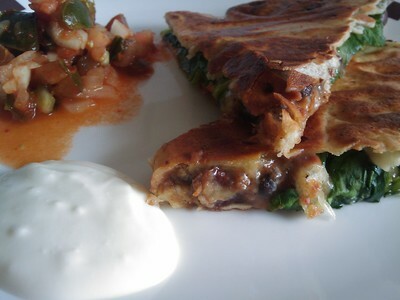 Spinach is one vegetable that does not go down very well with kids.Being one of the top vegetables that we should consume and include in our daily diet-it is always hard to come up with tasty recipes with spinach due to it's bland taste.This Spinach Quesadilla has been tried and tested on kids with full marks.Try out this recipe with your kids and surprise yourself by how noticable the spinach is in this quesadilla yet the plates are licked clean. 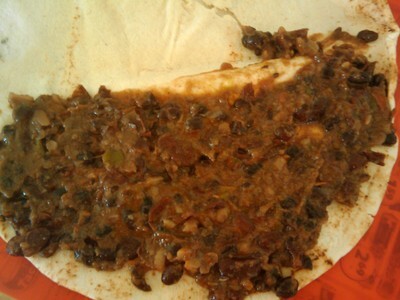 1 tin of black beans or any beans you prefer. 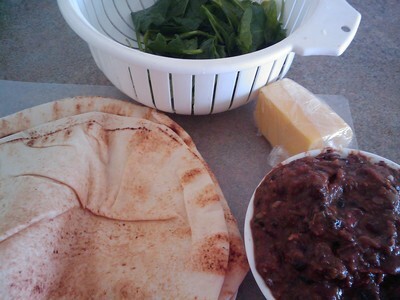 Take one of the lebanese wrap and place it flat on a clean surface. 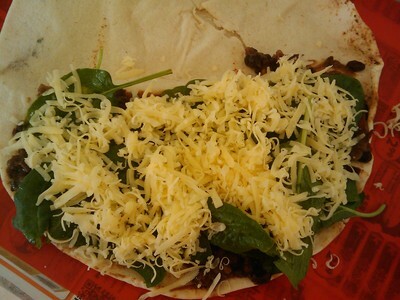 Place two spoons of beans on only half of the wrap. 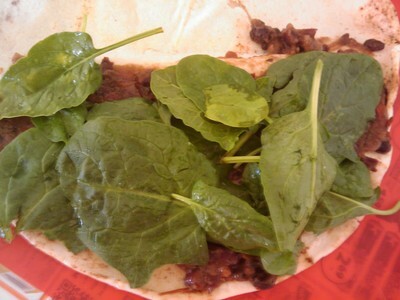 Place the clean baby spinach on top. 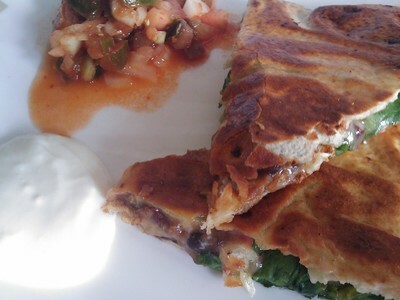 Make sure the spinach is dry as water will make the quesadilla soggy. 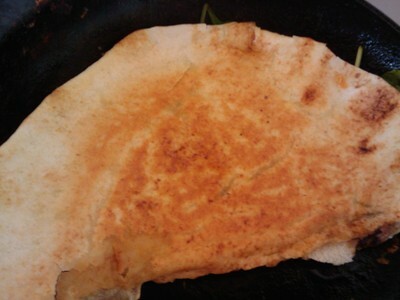 Fold into half and cook on the cast iron pan with some olive oil.